The trade war between the world's two biggest superpowers is escalating, and the impact is already being felt on both sides. The U.S. is restricting trade with China and limiting its ability to sell technology. China, not to be outdone, is piling difficulties on commercial relations with American companies, upping tariffs, and waving its secret weapon: U.S. treasury bonds worth $1.2 trillion. In the background, another power struggle is brewing, in which the same nations are vying to take the helm in disruptive technology domains. Smaller tech hubs, Israeli included, are on the sidelines, doing what they can to minimize the collateral damage, encouraging homegrown companies to stay put by reducing taxes and providing employment and investment incentives. Berlin, and more generally Germany, is an interesting example. In recent years the city has attracted a great number of entrepreneurs that turned it into one of Europe's leading tech hubs, alongside London and Paris. The local ecosystem is diverse, and there are many initiatives aiming to foster tech entrepreneurship on both the city and regional levels. With a combination of attractive life quality, relatively abundant financing options, a vibrant cultural scene, and high availability of tech talent, Berlin has become an appealing hub. The city’s cosmopolitan nature and openness to professional immigrants turned it into a magnet for European tech entrepreneurs. Multinationals are following suit and opening research and development outposts in the city. The recent trade war is only adding to Berlin's appeal. Germany is the fourth largest economy in the world in terms of gross domestic product (GDP), according to World Bank Data, preceded only by the U.S., China, and Japan. It is also the largest national economy in Europe. The German economy has strong telecom and semiconductor industries, an advanced biotechnology industry, and one of the leading clean energy tech ecosystems. Germany is also prominent when it comes to more traditional industries such as printing and automotive. In recent years there has been growing collaboration between those well-entrenched industries and innovative new startups, some hailing from Israel. All these factors combine to position Germany—and especially Berlin—as a market that may see at least some upside in the U.S.-China trade war. Israeli companies are seeing this trend already in action, with more partnerships sketched with Germany-based firms. In fact, Berlin is appealing not just for Israeli firms—it is also appealing to Israelis, many of them employed in tech. In the past few years, more and more German companies have set their sights on Israel when searching for new technologies, especially in the domains of renewable energy and clean energy, and of course in the automotive domain. The global race towards autonomous vehicles is leading auto manufacturers like Porsche AG, and part manufacturers like Continental AG, to work with Israeli companies that offer innovations in those domains. The uptake: bilateral tech collaborations between Israeli and German entities are expected to grow in number and size, with the blessing of both governments. 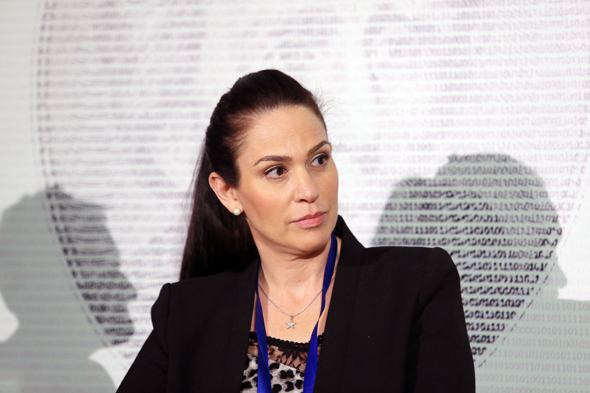 Yifat Oron is the CEO of Leumitech, a subsidiary of Israeli Bank Leumi focused on serving tech companies.